Some Timberwolves players were not expecting Jimmy Butler to request a trade. The 29-year-old forward asked to be moved by Minnesota earlier this month. 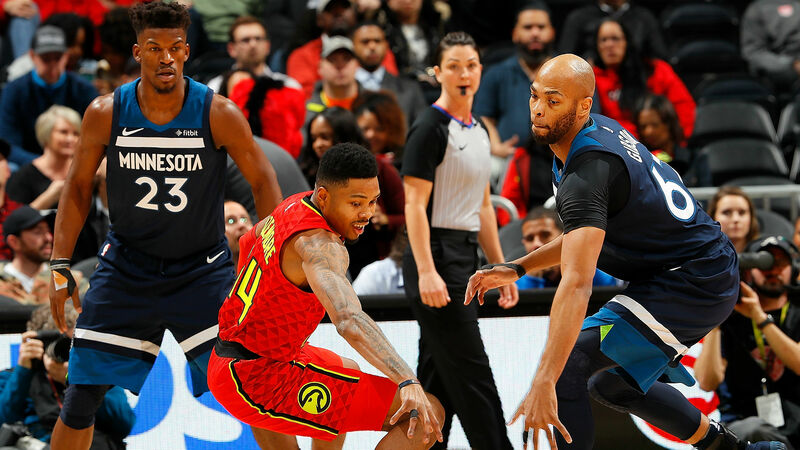 Timberwolves forward Taj Gibson, who also played with Butler in Chicago, told ESPN he was surprised when he heard the news. “At the end of the day, you’ve got to look at it from a player’s standpoint and a business standpoint,” Gibson said Friday. “He’s trying to do what he’s got to do but everybody’s calling him. It’s more of a (situation where) I’ve got to go see him kind of thing. But I worked out with him all summer … It was like a right hook, I didn’t see it coming. I didn’t know. I thought — it looked like from everything things were going good. “I didn’t know what the situation is,” Rose said. “I just didn’t know it was that bad. Even being here, I didn’t know it was that bad.